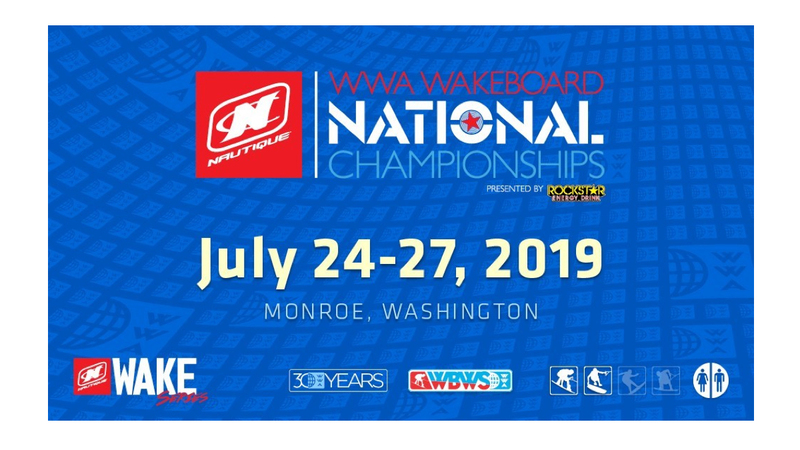 The World Wake Association has selected Lake Tye Park in Monroe, Washington, to host the 2019 Nautique WWA Wakeboard National Championships presented by Rockstar Energy. The event serves as the fourth stop of the WWA Wakeboard World Series and the third stop of the Nautique Wake Series. Riders in all amateur divisions qualify to compete at the national championships at their respective regional championships held throughout season. All riders, regardless of placement in their division, have the opportunity to represent the United States at the 2019 Nautique WWA Wakeboard and Wake Park World Championships in Playa del Carmen, Mexico, October 17–20. The 2019 National Championships will take place July 24–27. The event is free to the public.